Its Karen on the Kennedy Grace blog today and I'm a couple of days late due to it being summer holidays and being away at the beach. I Thought I had scheduled this post but alas I didn't publish it....oooppps! Anyway my card uses the lovely stamp set called Splendid Roses matched with Peaches and Cream Sequin Mix. I went for a very soft and subtle palette to create a gentle hugs card. I used a white gel pen for a little bit of outlining to give the petals a little more definition as I stamped them in a very pale pink ink. 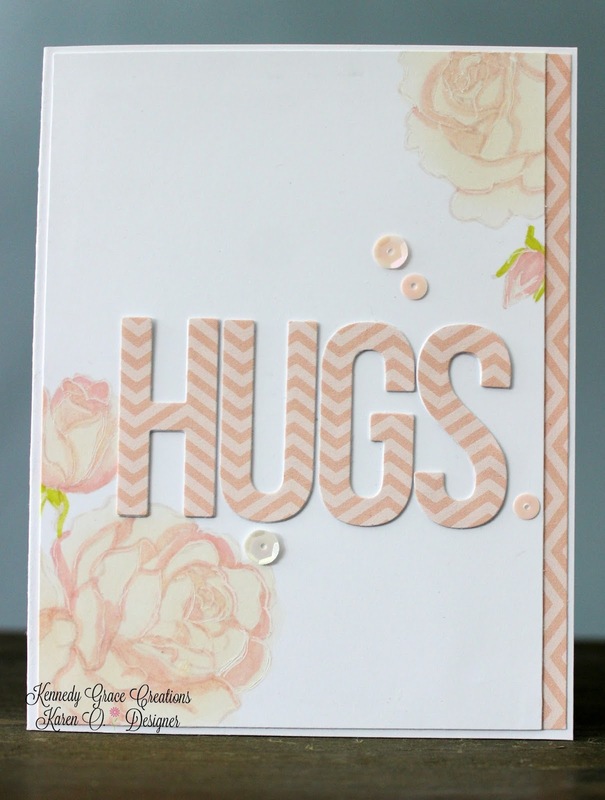 I think this is a nice alternative to your usual sympathy card, sometimes all you need is a gentle hug. What a beautiful and soft card! Perfect to convey that loving hug to another beloved during their time of suffering.